Like his Democratic opponent in the presidential race, John McCain’s experiences with his own father – a four-star admiral in the U.S. Navy – have helped shape him. He has spoken in interviews and in his memoir about how he resented his father’s absences as a child, but then grew to understand the situation more when he entered the military himself and had children. Admirers of the Arizona senator may point to his seven children from two marriages – included three kids who were adopted – as an example of how he is a role model for fathers. However, McCain himself has been reluctant to discuss his family life in public, particularly his son Jimmy, a marine who is stationed in Iraq. 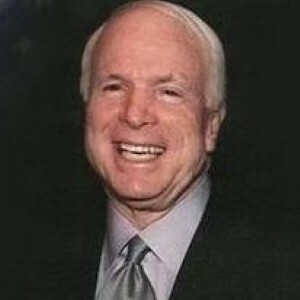 Regarding policy, McCain has not often spoken out about the issue of fatherhood. However, his website implies that he feels issues of the family are best left to the states and courts to debate. "The basic responsibility for preserving and strengthening the family should reside at the level of government closest to the people," it states. However, some fathers’ rights advocates have suggested that it is already too late to claim that the federal government should stay out of issues involving fatherhood, since it has already enacted legislation that affects dads’ daily lives. In the end, it seems that McCain chooses to present himself as the type of candidate who looks toward a very particular type of father figure for inspiration – the Founding Fathers.